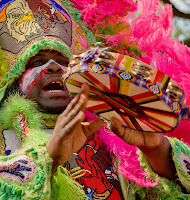 Not too long after the last bead has fallen from the trees (just kidding, they stay there year round), the streets heat up again with the beat of drums and marching feet. More celebrations and parades await the rested reveler in the city that celebrates. 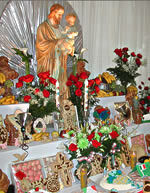 March 19th marks the Catholic celebration of St. Joseph’s Day where New Orleanians construct elaborate altars in honor of this saint. The tradition, commemorating the relief St. Joseph provided during a famine in Sicily, began in the late 1800’s when Sicilian immigrants settled in New Orleans. 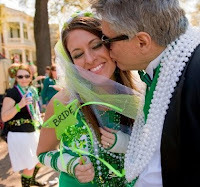 The American Italian Marching club hosts the annual St. Joseph’s day parade in the French Quarter is a local favorite with marchers dressed in black tuxedos proceeding to parade until dark. Islenos, or Canary Islanders, were recruited Spanish colonists from the Canary Islands that arrived in St. Bernard Parish between 1778 and 1783. 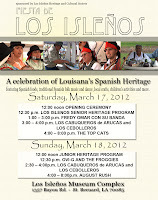 Their annual heritage celebration occurs March 17-18 featuring traditional Spanish food and folk music. 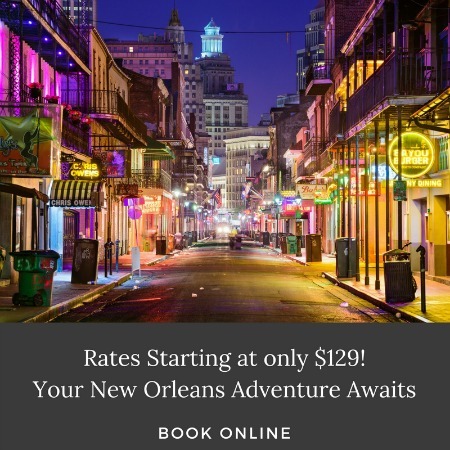 This entry was posted in Area Events, Festivals, Garden District, New Orleans Festivals and tagged Irish, Islenos, Italian, Mardi Gras Indian, St. Patrick's Day. Bookmark the permalink.